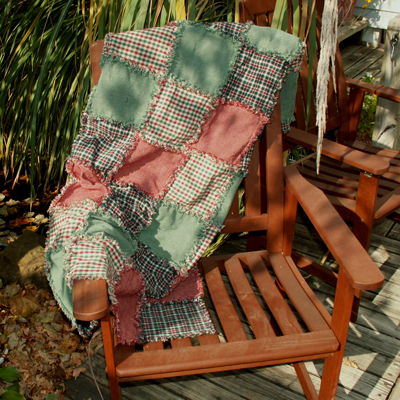 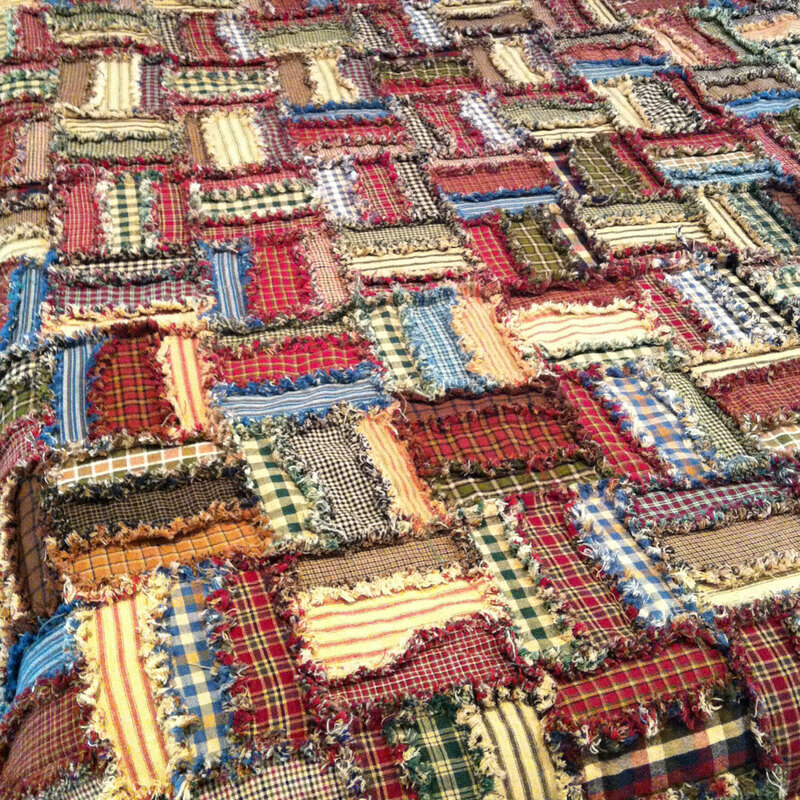 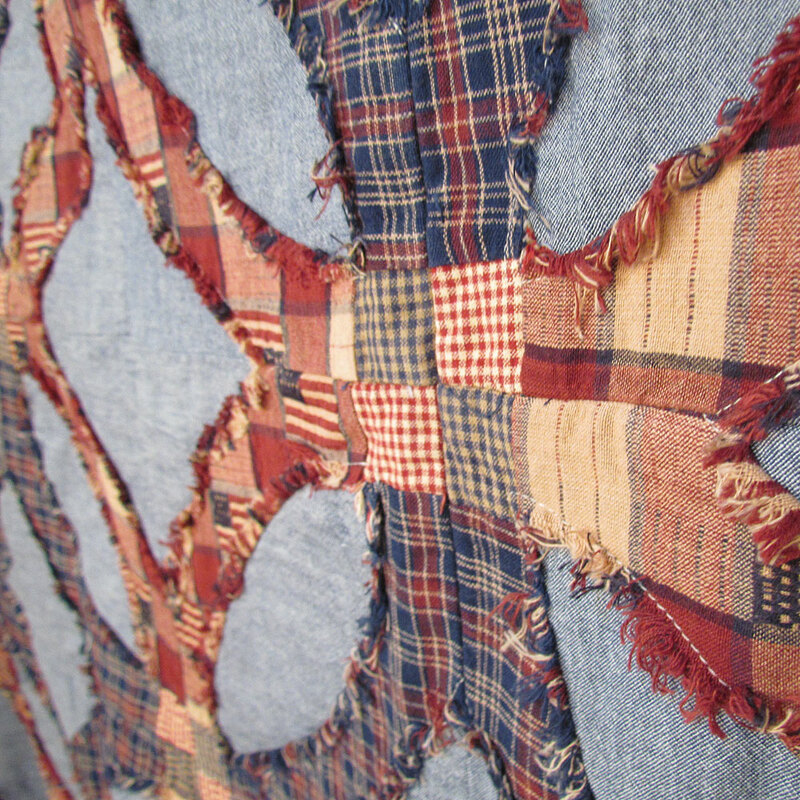 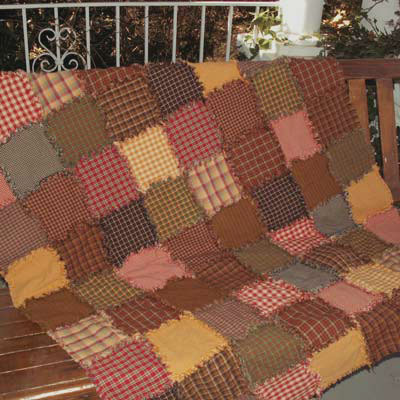 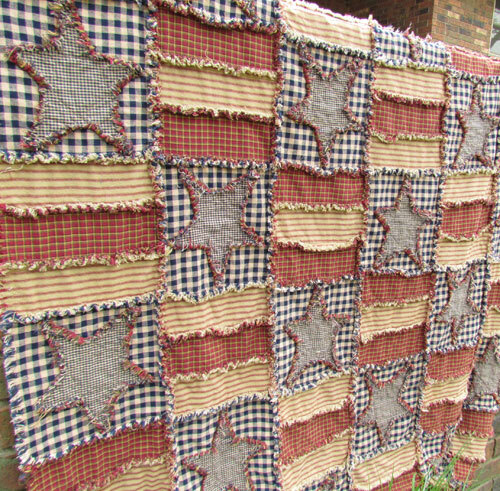 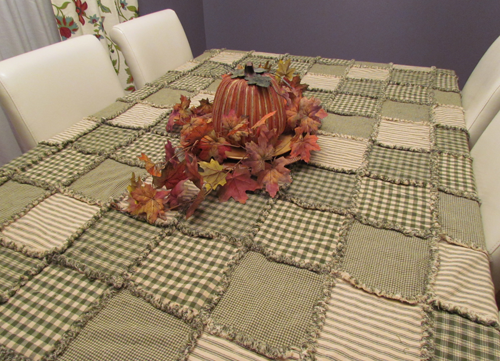 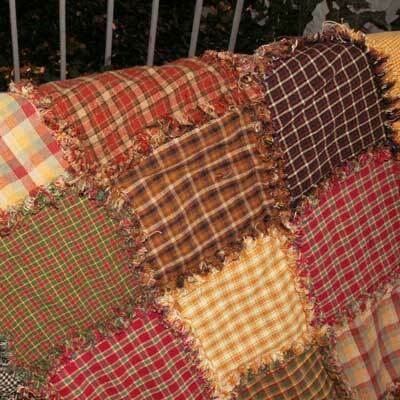 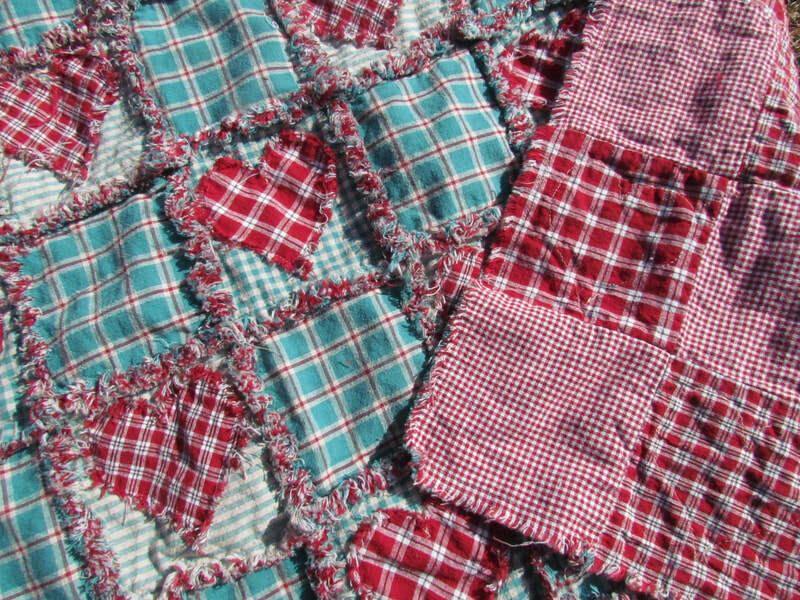 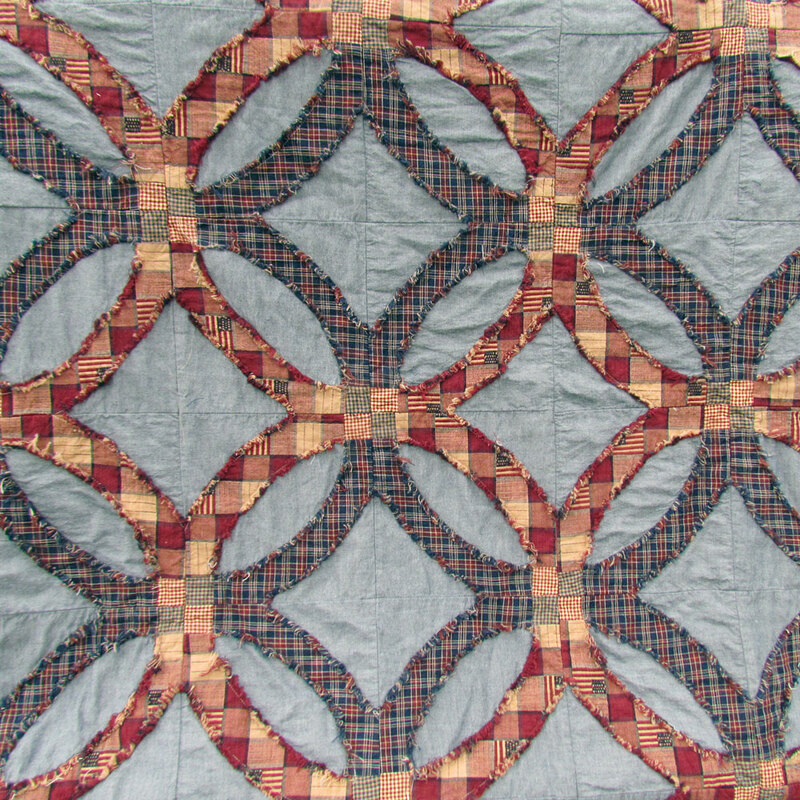 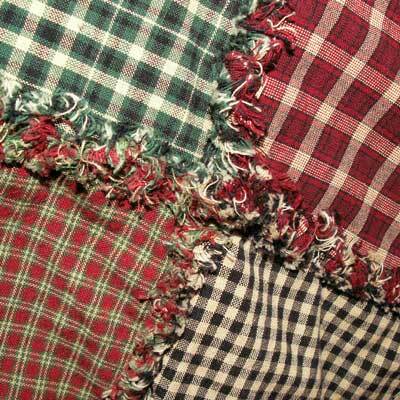 A ragged homespun throw is very similar to a ragged quilt but there is no batting added between the layers of a throw. 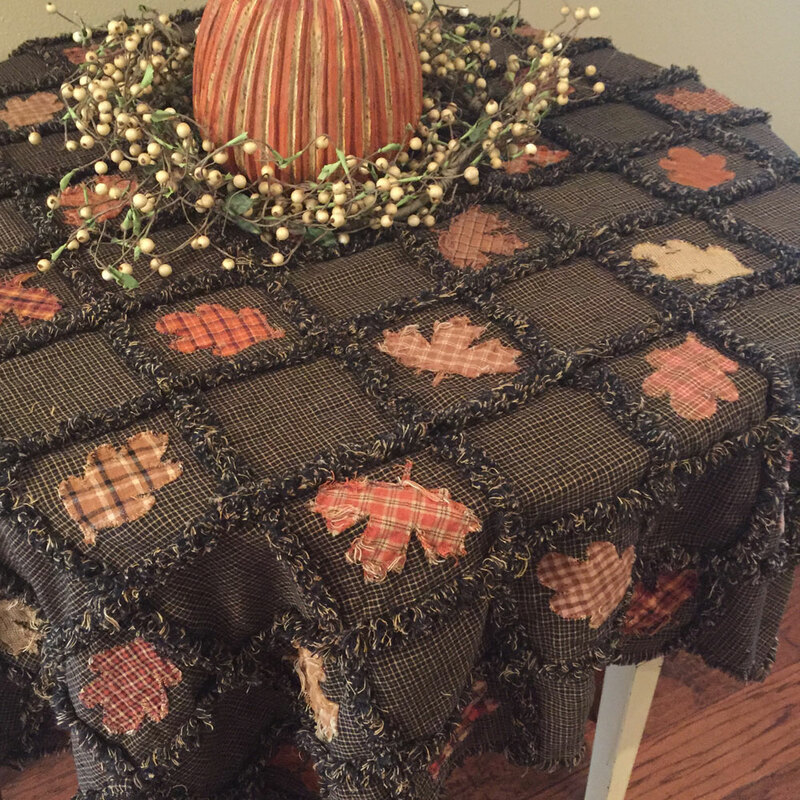 Throws also make interesting primitive tablecloths as shown above and are great to keep in the car for a lightweight cover. 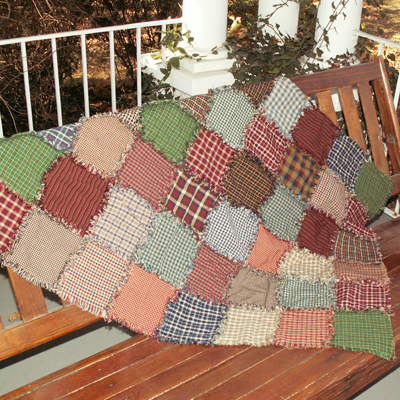 See a photo gallery below of some of the ragged homespun throws that we've made in the past. 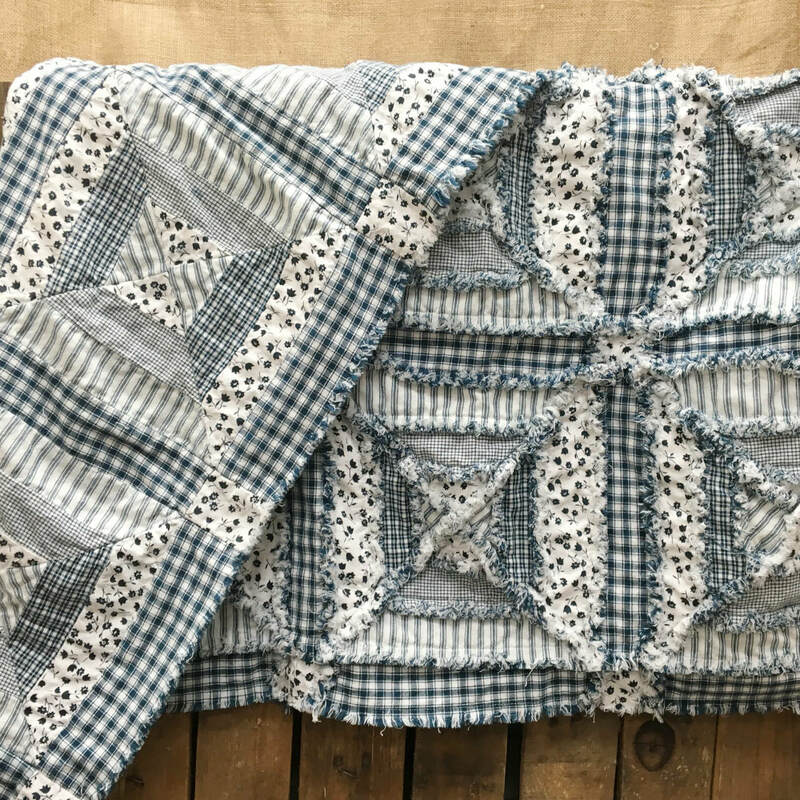 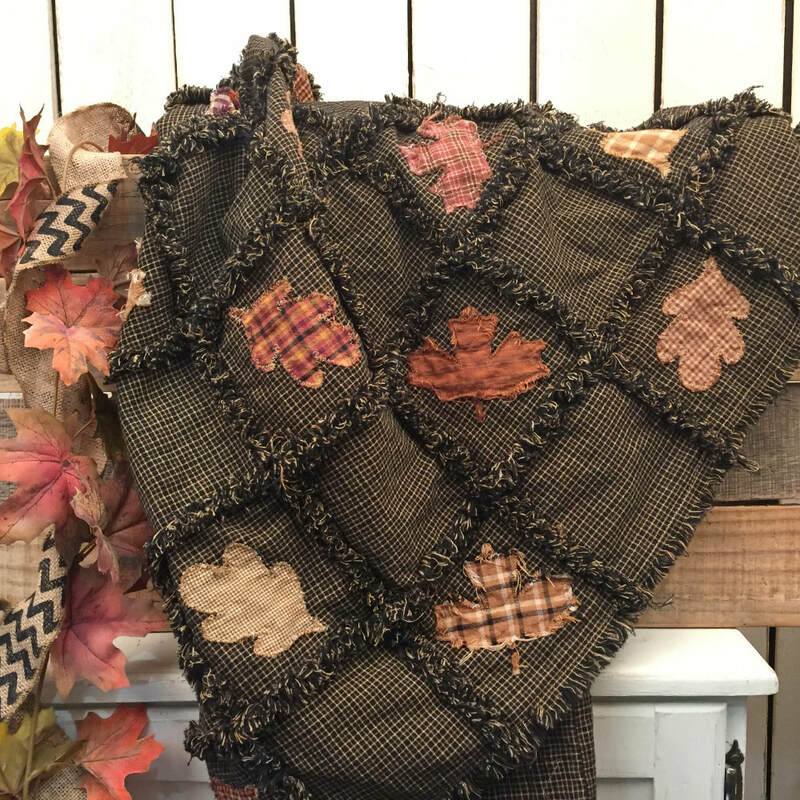 Make your own ragged homespun throw by following any of our homespun ragged quilt tutorials and just leave out the batting and the X stitch. 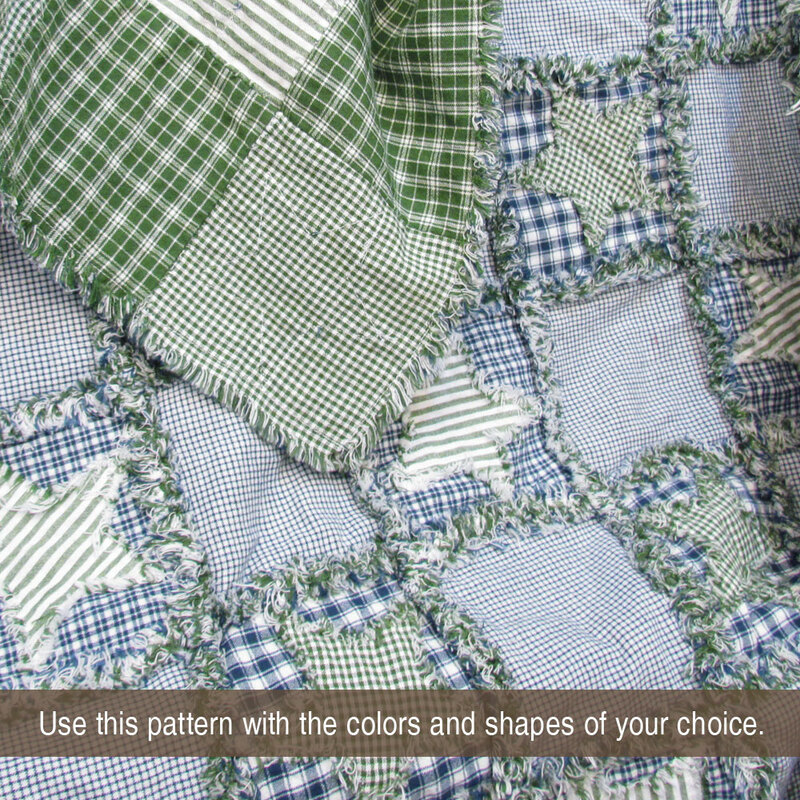 This is a great one to start with: Simple Ragged Throw. 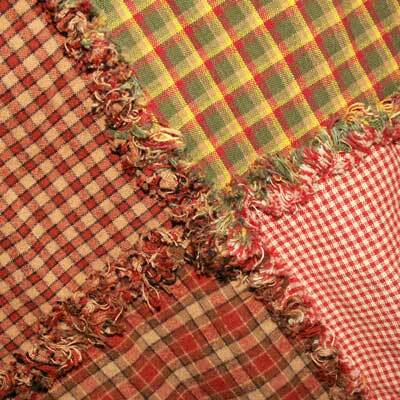 A wide variety of homespun fabric is available from Jubilee Fabric.